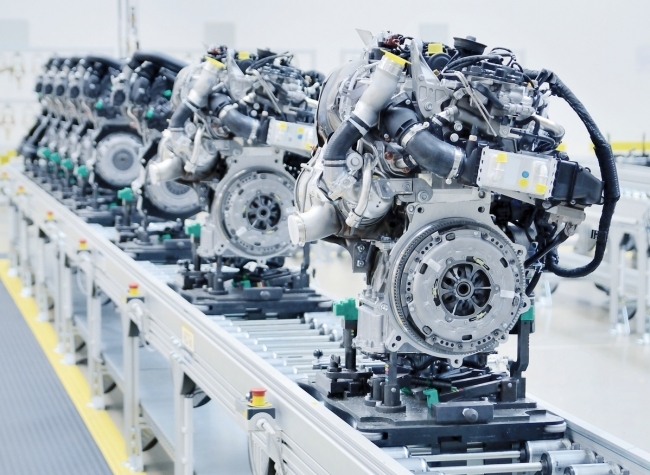 UK engine production fell -3.5% in June, according to figures released by the Society of Motor Manufacturers & Traders (SMMT), as demand from British car plants declines. But the more positive news is that exports have counterbalanced the domestic decline, up 5.6% in June and 14.7% YTD. This has resulted in total production for the first six months of 2018, the highest on record, up 5.7% with almost 1.5 million engines built. 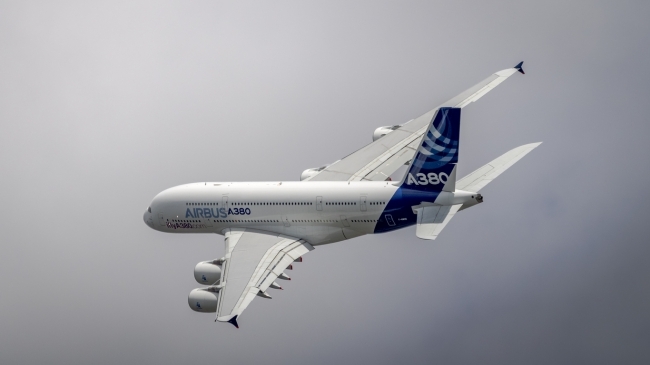 Mike Hawes, SMMT Chief Executive, said: “Despite domestic market challenges, British engine production remains strong. Thanks to increasing global demand for the high quality, low emission powertrains manufactured in the UK, output for the first six months is the highest on record, made possible by significant previous investment into a number of engine production facilities.” Meanwhile, British commercial vehicle manufacturing grew 6.1% in June, with 7,769 vehicles leaving production lines. Production for the UK rose by a moderate 3.1%, equivalent to some 91 units, alongside a more substantial 8.1% boost in export demand, with 4,713 vehicles shipped to overseas markets in June. New research has revealed that three out of the top five fastest growing markets for the UK automotive sector are outside Europe. These markets include the USA, Japan and Australia, where UK exports are growing at 4.3%, 3% and 2.6% respectively. The Netherlands and Italy make up the remaining top five where exports are expected to grow at 4.3% and 2.1% per year to 2021. 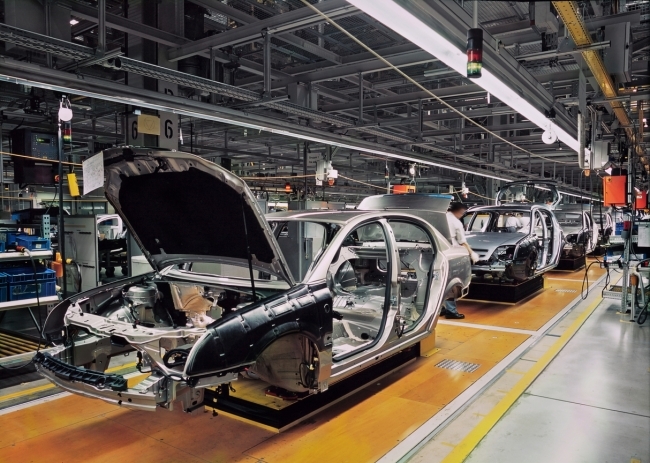 In all, automotive exports to these five markets were worth $17.9bn last year. The projected growth could generate an extra $677.7m a year for UK exports to 2021. Wyelands Bank, set up to help businesses trade, grow and create jobs, commissioned the research to better understand the role of imports and exports in the UK economy. The UK automotive industry is vital to the UK economy and hugely significant within UK manufacturing. The companies in the sector account for £104bn in turnover, created nearly 340,000 direct jobs and a further 814,000 in the whole sector value chain in 2017. Overall, automotive exports were worth $54.7bn in 2017, nearly half a billion more than in 2016. Looking at the regional picture for UK exports, Europe remains the UK’s biggest trading partner for exports with a 46.3% share. North America is next with 17.2%, while Asia Pacific (7%), Sub-Saharan Africa (5.4%), MENA (1.8%) and South America (1.2%) follow. However, the fastest growing market is Asia Pacific, where UK exports are expected to grow at 3% a year to 2021 and South America, where this is expected to grow by around 0.5% annually until 2021. 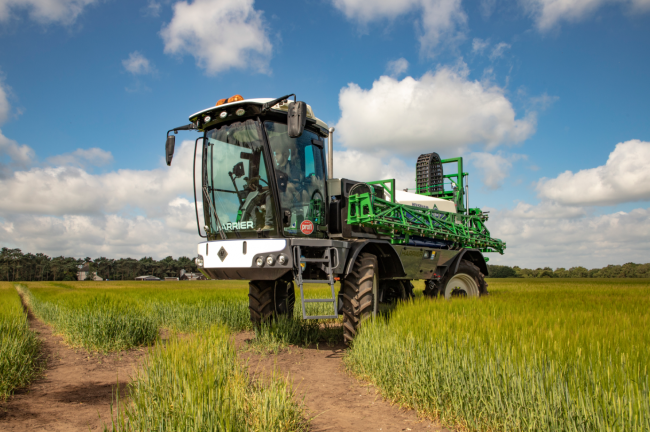 UK sprayer manufacturer, Househam, has completed work on a six-figure investment on its new factory in Lincolnshire. The new facility increases the factory’s footprint by 30% and production capacity by 50%, with double the number of construction bays for Househam’s latest state of the art self-propelled sprayers. The expansion comes after a successful 12 months for Househam which saw the company grow its exports by 25 per cent. Robert Willey, managing director of Househam, said: “We’re a British business and Brexit will create opportunities for us, both here and abroad. We need to be well placed to take advantage of this as new markets open up to us. Our new factory will allow us to meet increasing demand – supporting farmers worldwide while supporting the local economy here.” The factory also houses a second-hand workshop, offering servicing and parts to its diverse, global customer base. This growing customer base requires a growing staff team, with Househam creating jobs for both new and experienced workers in the industry. With the factory complete, Househam is now set to enter its second phase of development as construction begins on its ‘Househam Academy’ – a specialist training space for customers, staff, and local young people interested in the industry. The Academy is due for completion by the end of the year. Formula 1 is a logistical nightmare and each race requires a staggering amount of planning – moving fragile and expensive racing cars, whole teams of people, pit garage equipment, drivers’ motorhomes and paddock corporate hospitality units from one race to the next. This video explores the complicated and awe-inspiring logistical effort required to transport the teams and their equipment across the globe and on a tight schedule. Danish toymaker LEGO has high ambitions for its sustainability program: by 2030, the company intends to manufacture most of its products and packaging using environmentally-friendly materials or recycled sources. In 2018, the company took its first step towards these goals by announcing the introduction of sustainable LEGO blocks in March this year. From August 1, they’ll be available to customers in selected countries. LEGO’s new blocks are 98% polyethylene, made from sugar cane, and are shaped like plants. The material use of sugarcane plastic is in line with the guidelines of LEGO’s partner World Wildlife Fund (WWF) but LEGO blocks are still not biodegradable. “At the LEGO Group we want to make a positive impact on the world around us, and are working hard to make great play products for children using sustainable materials,” said Tim Brooks, Vice President of Environmental Responsibility at the LEGO Group in March. As the first sustainably manufactured botanical elements start appearing in LEGO boxes, Brick Fanatics has also listed 10 things they’ve learned about the new sustainable pieces. 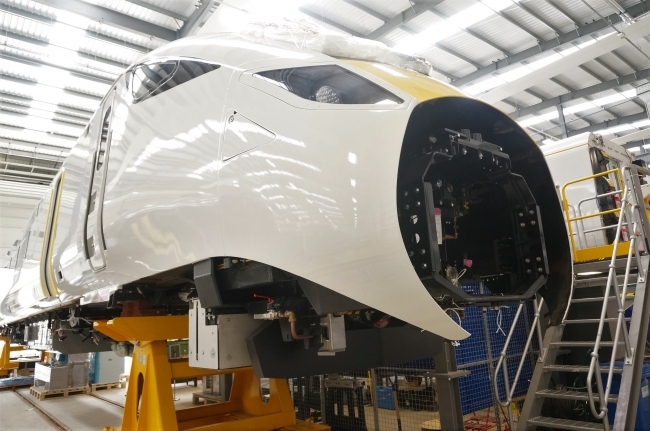 Emerging technologies such as artificial intelligence (AI), the Internet of Things (IoT) and engineering biology have the potential to significantly disrupt the UK’s engineering and manufacturing sectors and indeed the wider economy. Ensuring that we recruit engineers and technicians from a wide range of backgrounds with the necessary skills to shape and interact with these technologies will be key to the UK fully realising the economic and social benefits of this paradigm, as Hayaatun Sillem, chief executive of the Royal Academy of Engineering explains. It’s that time of year again. You send an email hoping to get something done and ping – it comes straight back to you with an out-of-office response. For many people setting an out-of-office response is a last-minute chore, the final obstacle standing between them and their holiday. But for some it has become a labour of love, a way to show off their sense of humour or tell everyone just how much fun they are having. Here are some of the best examples showing the potential of the humble out-of-office reply to become, well, something so much more. A LinkedIn connection that you’ve never met in person asks if you’d like to meet for a coffee. Your boss invites you to a networking dinner with several executives from the office. Do you say “yes” or “no”? Television producer and screenwriter Shonda Rhimes, experimented with saying “yes” to every opportunity for one year. She said “yes” to her kids when they asked her to play with them as she was headed out the door to go to work. She said “yes” to public speaking even though she’s terrified of speaking to audiences. The very act of saying “yes” to the things that scared her actually undid the fear and changed her life in a profound way. While Rhimes made a conscious decision to say “yes” to every opportunity she was offered, most of us are completely unaware of why we are saying “yes” or “no.” For those who suffer from the disease to please, saying “yes” often comes from the fear of being disliked and the guilt for putting your own agenda ahead of someone else’s desire for your time and attention. Those who may be considered “no” people often say no out of fear of failure. What if I don’t like it? What if I’m not good at it? Others say “no” simply because they have set boundaries and haven’t left any room in their lives for spontaneity and unexpected growth. There is no “right” way to approach life. Being a “yes” or a “no” person is each met with a set of benefits and limitations. Here’s when to deploy each approach.